“Soulful Souvenir” is the term we use at Duende, to describe the best type of travel mementoes – beautiful, useful, meaningful objects that have a positive impact on the community you’re visiting. Here are my tried and tested tips for seeking out soulful souvenirs on your travels around the world. For more on negotiating a fair price for souvenirs, see this post. Read up on your destination, its people, culture and traditional crafts. Reading forums, such as those on Tripadvisor, relating to specific destinations will give you an idea of availability and prices. If you have an idea of what you would like to buy, research tips and tricks for telling genuine or high-quality items from fakes or poor quality products. 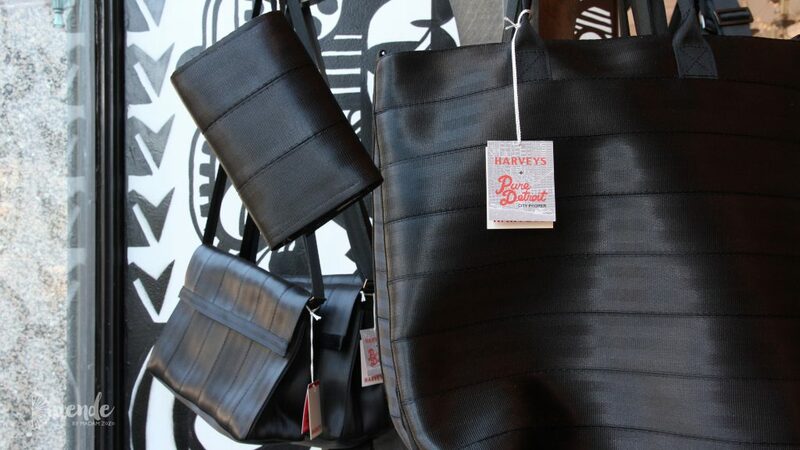 In many parts of the world, artisans are abandoning traditional crafts as they cannot compete with mass produced imports. A traditional craft is evidence of a unique culture. Often it has been handed down from generation to generation, sometimes this is a purely oral process and the techniques and/or significance of the craft is never documented. Once younger generations give it up, it is lost forever. Support local economies and prolong the survival of unique artisan crafts by checking the label, and avoid purchasing souvenirs mass produced in far-off lands. In return, you are likely getting something much more authentic and made by local craftspeople who have honed their technique over a lifetime. Buy from the person who made it wherever possible. 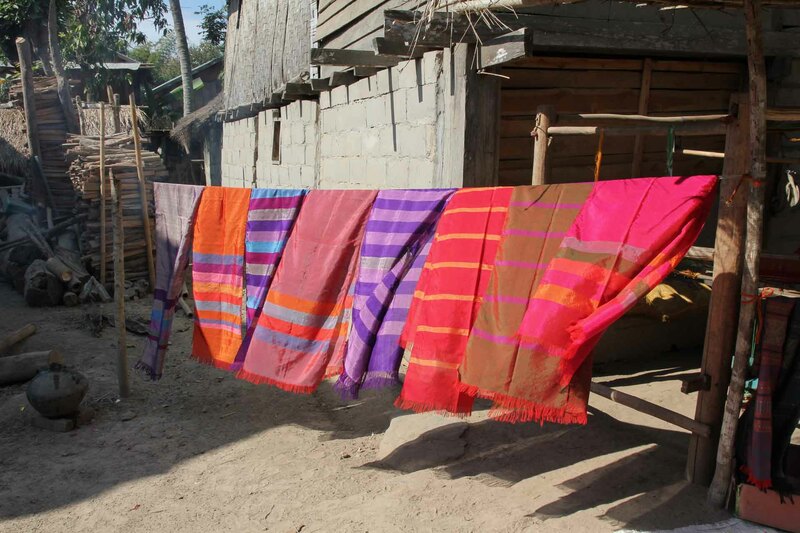 In Laos, I found it easy to get right to the source and bought scarves in small weaving villages where they were being made, rather from centralised, tourist markets where prices are generally higher and manufacturer unknown. Not only is it more interesting to visit the villages and see the items in production, but it is easier to tell how genuine they are. You may notice tour guides have a tendency to disappear when you come to make a purchase. Due to language barriers you are often negotiating via a calculator and can’t ask detailed questions about the product. Ask guides ahead of time to assist in determining how genuine a product is and/or to estimate a fair price. Entering Cambodia, I picked up a pamphlet at the airport with guidelines for tourists with regards to protecting local children. The guide discourages travellers from buying from children, who should be at school and not utilised as another source of income by their parents. Cute kids can be hard to resist buying from, but educating the next generation is crucial in breaking the cycle of poverty in the long term. I now apply this rule in most scenarios, particularly in developing nations. 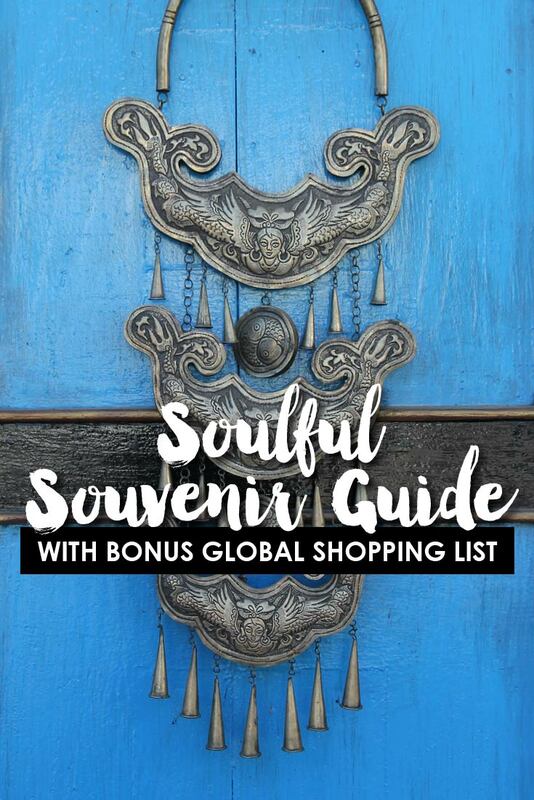 A downloadable version of the guide with a list of 133 unique souvenirs from around the world is available by clicking on the image – right. No plastic trinkets or “I heart (insert city name here)” t-shirts, just carefully researched items native to each country or region; artisanal and culturally significant treasures to provide lasting memories of your travels.